Flying the flag while protesting government policies might mean that the flag—or true America— supports your protest. Or it could mean you are a flagaphile. Berkeley, since Vietnam, Iraq, and Afghanistan has only used flags for tinder. 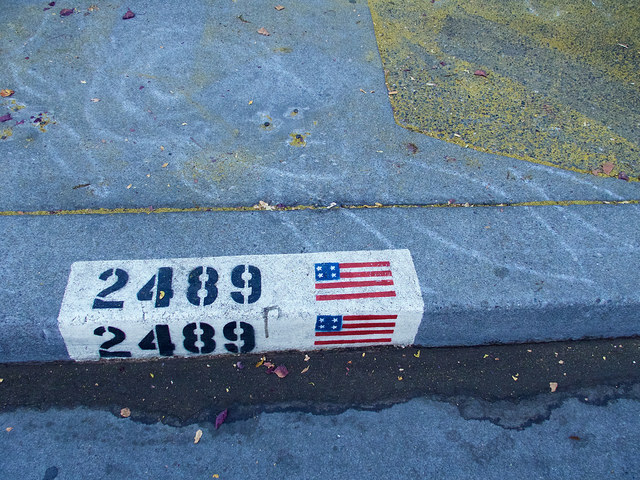 Then why are so many U.S. flags flying on Telegraph Avenue, a protest super-highway? 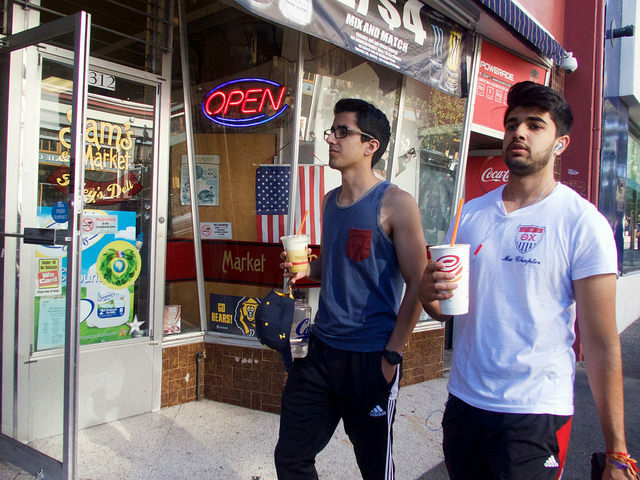 Is Berkeley’s Telegraph now becoming an all-american boulevard? 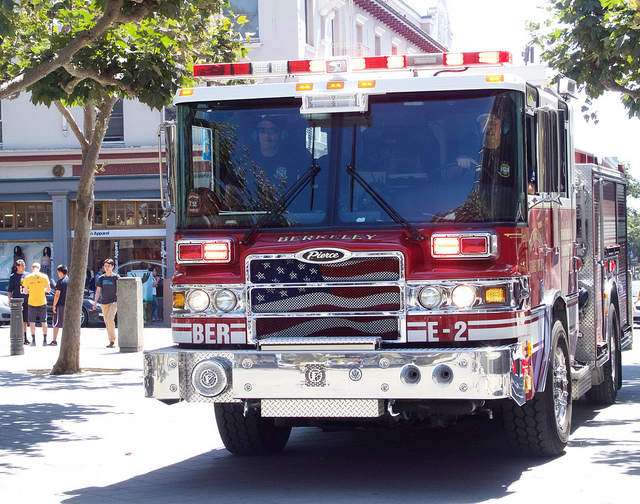 Berkeley’s opposition to flag-waving peaked in 1992 when the Berkeley Fire Department was made to fly tiny flags on their engines, after complaints at city council. Now BFD sports a sizable flag which covers the large front grill of a monster Pierce fire engine. Such displays may signal very little. Off Road. Big truck. Big flag in big grill. Photo by Ted Friedman. After all, few firemen live in Berkeley. 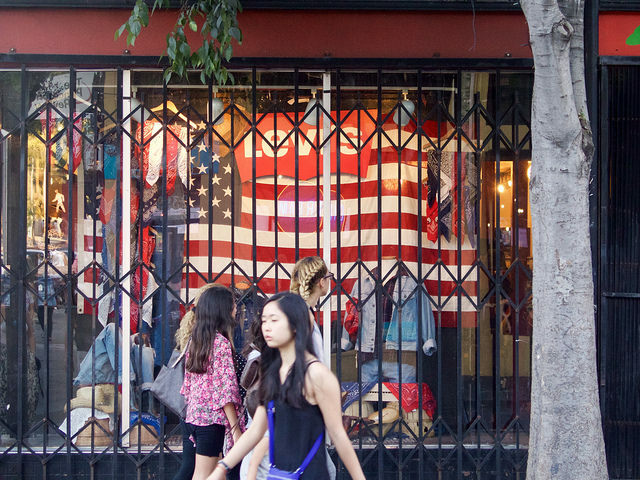 Fourth of Julys in Alameda or Orinda village wallow in stars ’n stripes while the rare flag is unfurled on Telegraph or anywhere else in Berkeley. Many Berkeleyans leave town. Waving the flag in your business, at one time might hurt your business or get your windows smashed. Maybe anti-flag feelings are old-school. 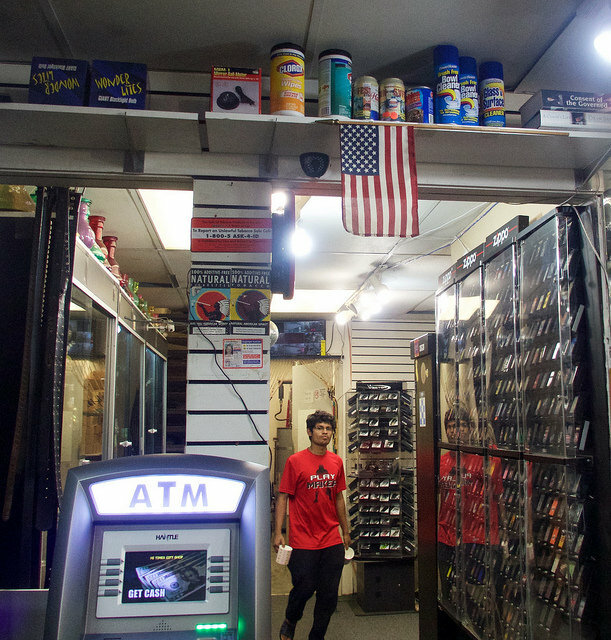 Many Berkeley businesses are displaying U.S. flags with impunity, maybe even pride. 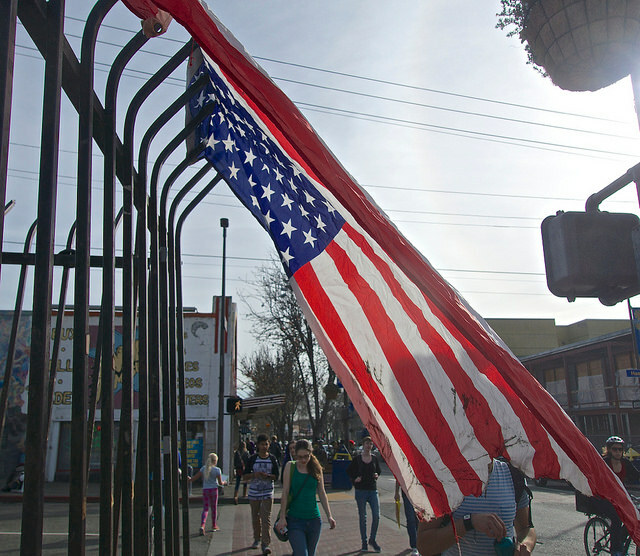 And Telegraph Avenue is not a street associated–quite the opposite–with flag waving. What does all this symbolism mean? Just that waving the flag in Berkeley is so far out, it’s in. 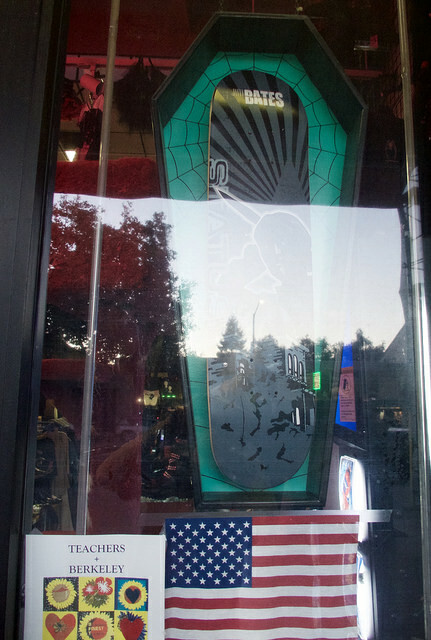 This entry was posted on Tuesday, September 8th, 2015 at 5:08 pm	and is filed under Telegraph Avenue, The Berkeley Scene. You can follow any responses to this entry through the RSS 2.0 feed. Responses are currently closed, but you can trackback from your own site.